Do you know what makes leadership effective and powerful? Apart from everything else, one key component is having an inspiration. It is no surprise that inspiration tends to bring better employee motivation, performance, commitment, and engagement from your team members or employees. If the leader is able to communicate the purpose of the organization with passion and transparency, he has established the inspirational culture with ease. 1. 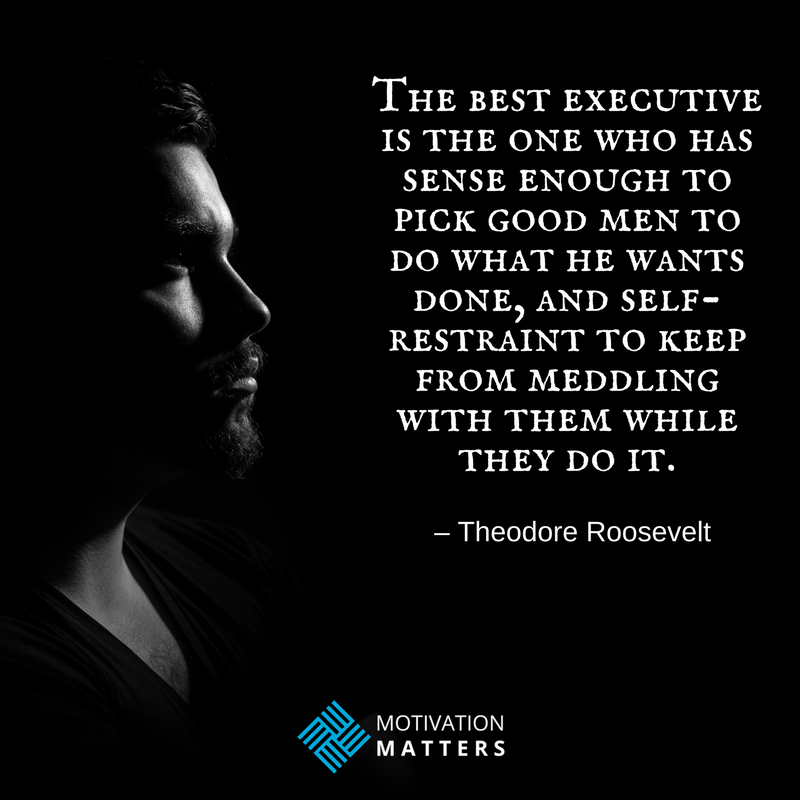 A leader is never the boss. Unlike the common belief, a leader is never supposed to be the boss of his team or his subordinates. He is the one who takes the lead but cannot implement orders without taking the consent of his team members. His authority is limited, that is, he cannot force his people to work in a certain way because if he does so, he is not a leader rather an oppressor. 2. He lets people do the things the way they want to. It is very important to let the people explore their personalities and capacities and not meddle in their way of accomplishing something. If a leader forces himself and his ways on his people, he in no way is allowing them to grow and discover their potential. The role of a leader is to make sure that everyone around him performs to the best of their abilities and delivers the best results by relying on their own strength and wisdom. 3. He is the one at fault, always! The foremost rule of leadership is that the leader is always at fault for any setback irrespective of who actually made the mistake. He is the one who will be taking the responsibility if something bad happens but will be giving credit to the team for the achievements. This is how leadership works and that is the reason that one should never consider it to be a piece of cake. It is actually a sensitive position where one would be facing all the consequences for the mistakes and would not let the team get discouraged at the same time. When Toyota had to recalled 2.3 million vehicles because of faulty brakes, everyone thought that the negative feedback and criticism would not let the company stand for a number of years to come. However, instead of relying on a strong PR team and Press Releases, CEO Jim Lentz held a press conference and catered to the unfiltered, angry questions of the media and past employees. During the time he had, he tried to cover as much as possible and held himself responsible for everything. 4. He should not let his presence be felt. Although it is the leader who is the actual driving force behind any project or any development, still he shouldn’t let the people know of it. A leader’s silent team support and morale boosters means everything because that helps his team in pushing themselves to perform in the best possible way. Jim Sinegal of Costco Wholesale Corporation considers himself as much of a normal worker as any other person on his floor. He doesn’t let himself get more pay than 12 of the employees combined and holds himself as much transparent and accountable as any other person from his company. 5. He is courageous enough not to follow the expert advice. Yes, it is good to listen to the experts in the industry and give importance to their valuable opinions. However, one must be able to challenge the norms and go against them so that new discoveries can be made and new rules can be established. It is very important to try something new if one wants to succeed otherwise, you are forever stuck in the same old vicious circle and cannot progress or develop yourself as an individual which, in turn, stagnates the society. It was hard for Tim Cook to succeed Steve Jobs but he has been exemplary. Unlike Jobs, he is compassionate about his workers and likes to do things his own way. His new approach has only taken Apple to greater heights. 6. He likes to go against the odds. A leader is intelligent but his passion and drive hold equal importance. If something appears to be not so promising, a leader will prove otherwise through his dedication and commitment to the cause. He will make sure that he finds success even in the bleakest situations. Steve Jobs always wanted his workers to create something which would please him instead of the customer. If he is satisfied, the customers are surely going to be too. And he never hesitated to abuse his staff just to deliver the best. The same goes for Bill Gates who is known for pressurizing his workers to bring the best out of them. People carry confused notions about leadership but in reality, inspirational leadership is something which is very difficult to achieve. It means standing strong as an entity, bearing all the responsibility, and not letting the morale of the team come down even after failures.